Hanifi Barış hocamız için tahliye kararı verildi. Verdict: The judge has ordered the release of our colleague Hanifi Barış. Istanbul court just ordered release of academic and lawyer #HanifiBarış from pre-trial detention at the end of first hearing held today. One in three Scottish solicitors say they have been victims of violence or threatening behaviour in connection with their work. Law Society of Scotland research revealed almost all of the incidents took place within solicitors’ offices or in a court or tribunal building. The survey, the first of its kind in Scotland, suggested 12% of solicitors who responded had experienced violence. About 60% reported threatening conduct or communications. The survey heard from more than 1,100 solicitors. It found that clients or former clients – or clients of the opposing party’s solicitor – accounted for 60% of incidents. Criminal defence lawyers were most at risk, but those dealing with sensitive cases such as divorce or child custody had also been targeted. On July 4th, 2018, Hanifi Barış (signatory of the Peace Petition, 11st of January, 2016, lawyer and academic) reported to Bakırköy Police station in Istanbul, responding to a request that he give a statement about his social media accounts. He was arrested that day, and charged with “posting items of criminal content” on his social media accounts. The alleged criminal behaviour for which Hanifi Barış was arrested amounts to sharing news articles from Turkish and international media sources, including websites such as The Guardian and Foreign Policy, to which he did not add any of his own commentary. On the 23rd of July, a judge for Istanbul’s High Criminal Court accepted the indictment against Hanifi and re-affirmed his pre-trial detention. He has been held since then, at least part of that time in solitary confinement. Hanifi Barış’s colleagues from the Centre for Citizenship, Civil Society and Rule of Law, Aberdeen/Scotland, where he has done his PhD, have joined with human rights organisations, and Hanifi Barış’s Turkish colleagues, many of them signatories of the Academics for Peace Declaration, “We will not be party to this crime!” to protest his unjust detention. They have circulated a petition demanding his immediate release, which has received almost 5,000 signatures. His case has drawn international scrutiny. Human rights defenders such as Scholars at Risk, Frontline Defenders, Index on Censorship have reported on his arrest and pending trial. Hanifi Barış’s first hearing is scheduled for September 18th at the Çağlayan Courthouse. International observers are invited to monitor this hearing, with the hope that he will be immediately released and cleared of these unfounded accusations. Please spread our word #FreeHanifi #HanifiyeÖzgürlük, follow @freehanifi on the social media and keep following his first trial where we demand his immediate release! New message of solidarity from Hanifi for you all! Court case confirmed for next Tuesday 18 September at 10.30 a.m. Thank you everyone for such a wonderful display of support. Let’s not give up hope just yet! Hanifi Barış, est en prison à Silivri – İstanbul depuis le 4 juillet dernier. La première audience aura lieu le 18 septembre. une lettre de sa cellule. Despite the lifting of the state of emergency in July, arbitrary arrests and human rights violations continue. Hanifi Barış, an outspoken Kurdish academic and lawyer, has been imprisoned by Turkish authorities since 4 July 2018. His detention for sharing press articles on social media is another demonstration of the repeated attacks against freedom of expression and critical opinions in Turkey. 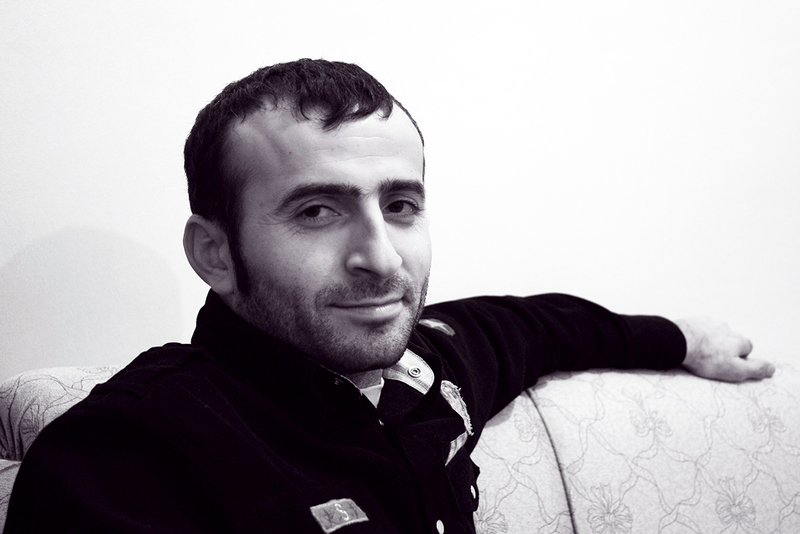 Hanifi Barış obtained his Ph.D from the Centre for Citizenship, Civil Society and Rule of Law at the University of Aberdeen in 2017. Interested in political theory and human rights, he has published several articles and book chapters on Kurdish politics. After completing his dissertation, Barış moved back to Turkey and settled in Istanbul, where he started working as a lawyer. In his roles as an academic and a lawyer, Barış stood out as an ardent defender of human rights. In 2012, he drew public attention for representing a famous conscientious objector and defending his client’s rights to answer to the court in Kurdish. In January 2016, he was one of the Academics for Peace who signed the petition “We will not be a party to this crime”, which denounced the state-sanctioned violence in the Kurdish regions and called on the Turkish government to re-establish peace negotiations. On 3 July, Barış received a call from Istanbul Bakırköy Police station, asking him to give a statement about his social media posts. The next day, after giving his statement to the police, he was referred to the court, where the prosecutor requested his arrest. He was accused of producing “terrorist propaganda” on the ground of article 7/2 of the Anti-Terror Law no 3713. Barış had shared news articles and commentaries from international and local media on his Facebook and Twitter accounts. It is worth emphasising that he did not add any of his own commentary on the posts. At the court’s request Barış was sent to prison on the same day. Since then, the appeals of his lawyer, Mehmet Doğan, for his release pending trial have been repeatedly denied. 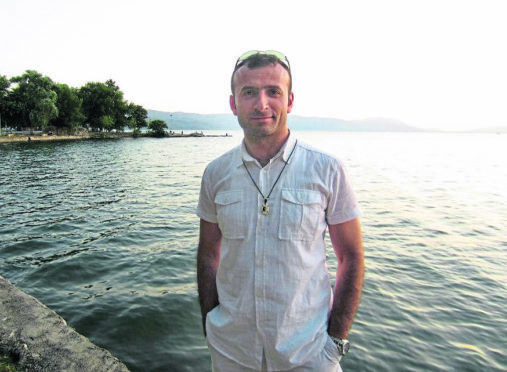 Even worse, when Barış asked to be moved to another dormitory in Silivri Prison, he was sent to an individual cell and remained in solitary confinement for 12 days. On 23 July 2018, İstanbul’s 29th High Criminal Court accepted the indictment against Barış and re-affirmed his pre-trial detention. The Court based its decision on an ongoing assessment of digital materials that had been supposedly confiscated during an alleged search of his residence and belongings. However, no such search ever took place. This blatant disregard for the rule of law and due process casts serious doubts on Barış’s prospect for a fair trial, highlighting Turkey’s systematic use of pre-trial detention as a means of intimidation. SCOTLAND’S lawyers have been urged to report violent attacks by clients in an anonymous survey commissioned by the Law Society of Scotlandfollowing a brutal and targeted attack on a solicitor outside Glasgow Sheriff Court. Joseph Shields was slashed across the face and body and his injuries were so severe he will be scarred for life. The 63-year-old criminal defence lawyer, who is a partner at Glasgow firm Gallen and Co, has yet to return to work. This week the Law Society of Scotland launched a survey of legal professionals which will ask them to detail “incidents of violent or threatening behaviour” amid growing concerns about an increase in attacks. Chief executive Lorna Jack said: “It is essential that people are safe while doing their jobs. Solicitors help people, often at extremely difficult times in their lives, and it’s important they can do this without fear or favour. The Law Society of Scotland has joined the widespread show of support for human rights solicitor Aamer Anwar, following a series of abusive messages in response to his eye witness account of last week’s terror attack in Barcelona. Lorna Jack, Chief Executive of the Law Society of Scotland said, “In spite of the tirade of abuse which Aamer has been subjected to in the wake of last week’s traumatic events, he has shown characteristic grit and integrity. Aamer Anwar has been a Law Society of Scotland member and solicitor for over fifteen years. His work as a human rights lawyer has earned him the titles of Solicitor of the Year in the Herald’s Law Awards of Scotland 2016, and Lawyer of the Year Legal Awards of Scotland in 2017.